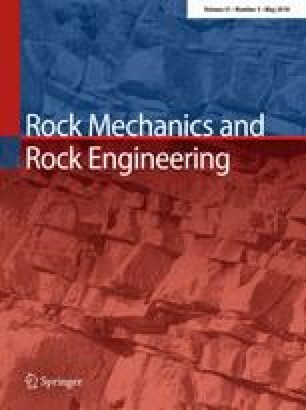 This paper investigates the anisotropic hydro-mechanical behaviour of Opalinus Clay shale, the host material currently being considered for the construction of a nuclear waste repository in Switzerland. Consolidated and drained triaxial tests on Opalinus Clay from the Mont Terri URL have been conducted in order to derive information on its strength and stiffness properties. Opalinus Clay specimens were tested both parallel to bedding (P-specimens) and perpendicular to bedding (S-specimens). The considered effective confining stress range (from 2 to 12 MPa) has been selected in order to reproduce possible in situ stress conditions for the repository. In this work, particular attention has been paid to the experimental procedure in order to ensure consolidated conditions and avoid generation of unwanted excess pore water pressure during drained shearing. The Skempton B parameter has been determined for all the tested specimens in order to ensure saturation. Both single-stage and multistage triaxial testing procedures were adopted in the experimental campaign. The results of the triaxial tests highlight an anisotropic elastic response of Opalinus Clay: S-specimens present a more compliant behaviour than P-specimens. The values of the Young modulus are found to increase with the increase in mean effective stress. The analysis of the peak and ultimate shear strength results reveals that the material behaves in a similar manner regardless of the considered direction of loading (P and S directions) with respect to the bedding orientation. Peak and ultimate failure envelopes for Opalinus Clay were derived for the investigated stress range. The support provided for this research by the Swiss National Cooperative for the Disposal of Radioactive Waste (NAGRA) is acknowledged. Mr Patrick Dubey (EPFL) is acknowledged for his help in the preparation of the shale specimens.